Located in Bethlehem, a traditional barber shop with that true cut throat experience. This is a traditional barber shop with vintage style our fully licensed staff is personally trained in the classic Tonsorial art to provide knowledge and superb service . I opened the doors in 03 with a dream to bring back the tried and true ways of Barbering professionalism while staying with current trends and techniques so we can provide that family first atmosphere for that older more refined fellow while allowing the younger free willed types to mingle together in a relaxed laid-back vintage setting. The Fade and shave is considered a Bethlehem Original known for our hot towel straight razor Shaves” that true cut throat experience” and our sharp fades keep clients steadily referring new ones . 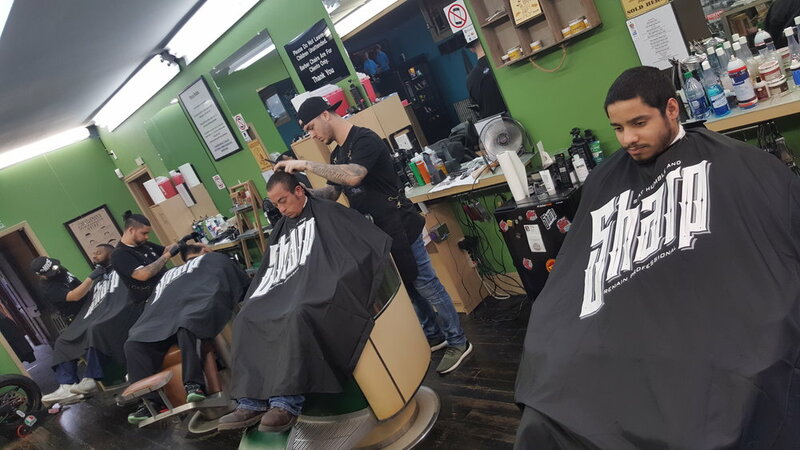 The staff members bring out the best qualities in everyone with their welcoming friendly personalities and attention to detail that sets them apart from the average barber. We also carry the top hair care and shaving products available from official Layrite pomade, Uppercut deluxe pomade, Suavecito and Imperial and not to mention we provide skin assessment, shave classes and product advice. Marvin Vazquez (Barber) age 34 graduate from L.V.BS. licensed certified barber and member of THE F&S for since 2016. Wilfredo Soto age 43 ( Master Barber/ Tonsorial teacher) licensed certified. Owner and Manger since 03 . We have developed our own mobile App for The Fade & Shave. Making it easy for our customers to be able to Book their appointments on the fly, Shop all on our App, Collect Digital Loyalty Points, Receive Offers straight to their smartphones.